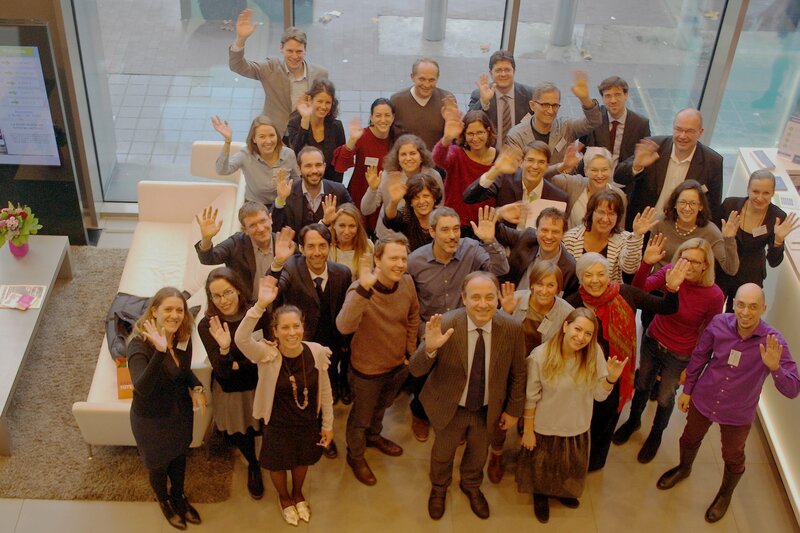 Preventing youth unemployment and social exclusion through a successful #TransitionToWork – that is the goal of the 14 European initiatives of the StartNet Europe network that gathered at the Goethe-Institut Brüssel on the 27-28 November 2018. On the first day of the meeting, Isabelle Le Mouillour from BIBB provided specific expert input on the topics of monitoring and evaluation. Realities differ a lot between Austria, Belgium, France, Finland, Germany, Italy, Romania, Slovakia and Spain – however, smart solutions are often similar and the objective is the same: connecting and mobilising partners from different sectors to empower young people for the labour market and for life! During the Policy Lab, the discussion between the StartNet Europe partners and the European Commission, Sebastiano Leo, Minister for Education and Labour Apulia Region (Italy) and Brando Benifei, Member of the European Parliament, aimed to build bridges between local or regional action as well as European policies and programmes for a more effective EU support for the most vulnerable young people.